The appearance and enjoyment of owning a sporty cabriolet can be spoilt by allowing the hood to become grimy and water absorbent. 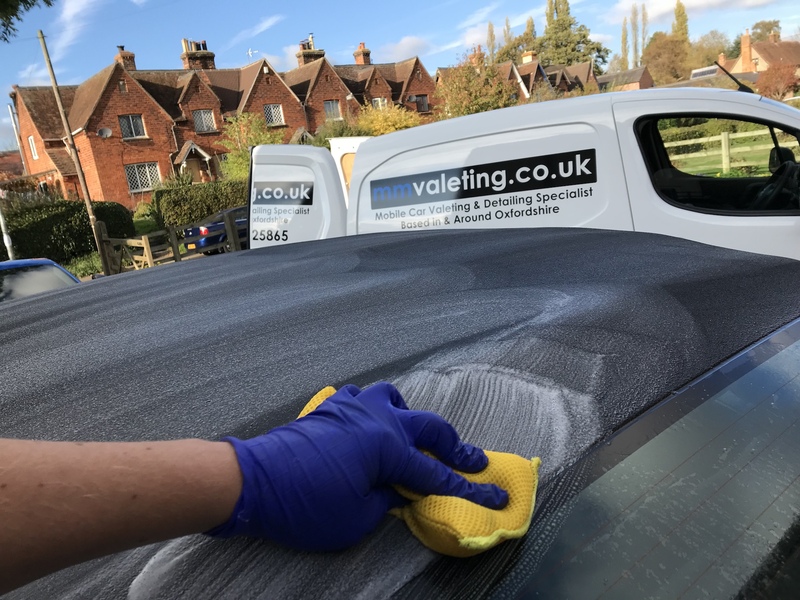 mmvaleting have developed an easy two stage service to clean and preserve fabric hoods. First stage – Using Fabric hood cleaner, this will clean, freshen and revive the fabric hood apperance by removing soiling, stains and atmospheric contamination from natural and synthetic fabrics. Second Stage – We then use a fabric roof protector with reproofs, protects and preserves the surface from the effects of water absorption and surface soiling. Total Price £50.00 – ideal with all of our valets.